The new brand platform, the “Be Mind Full” initiative, is a powerful call to action that reminds people that we all must be mindful and compassionate towards others and what they may be going through. It places focus on both the importance of the mind as a part of an individual’s overall health and the fullness or wholeness of one’s mind. Unifying brand elements are used such as powerful black and white images that depict Canadians from all ages, races and walks of life. 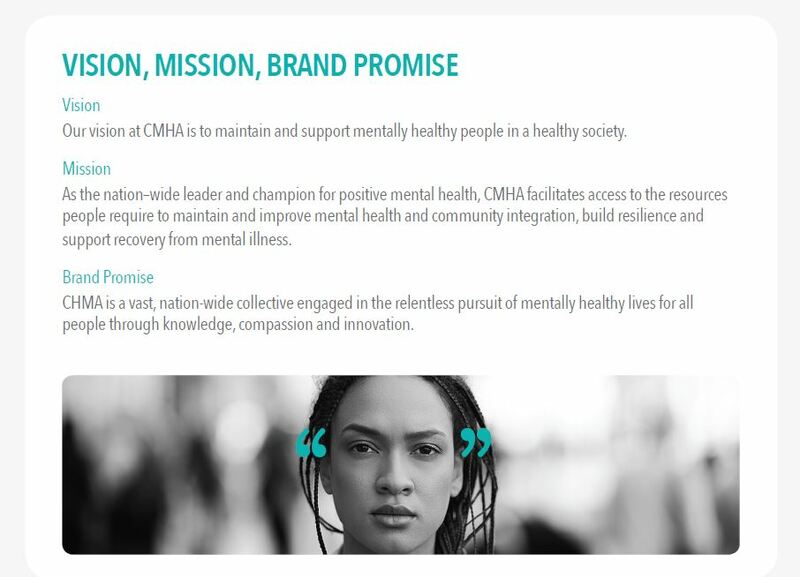 And graphic quotations – in CMHA’s signature turquoise brand colour – are used that places an emphasis on the mind and reminds people that there may be more going on in a person’s life than meets the eye.